The ultimate in sunflower seed, sunflower hearts act as a magnet for all wild birds. 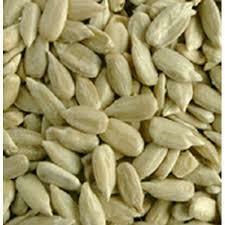 These top quality sunflower hearts are from bakery grade stock. Sunflower Hearts (or Kernals) are packed with oil, making them an ideal source of energy and heat for birds. Being huskless means less mess and no waste, as these seeds are eaten by all species of birds, and for those that last long enough to fall, Hedgehogs love them! Ideally fed in a seed feeder, however it can be fed from the ground or on a table.